"And who shall we send to carry out this holy task?" asked the angelic coordinator. "How about the normal two? Or are they busy?" "No...but do you recall the, ahem, episode with Sodom and Gomorrah? I don't believe we anticipated their...overwhelming attractiveness. The mortals were not well equipped to deal with it." "The angel of death, then?" "If you think it's that drastic..."
"Fine. Send the arson angel. But don't come complaining to me when you have to send even more angels to put out fires. Literally." "And figuratively," said the angelic coordinator, with a shake of the head. 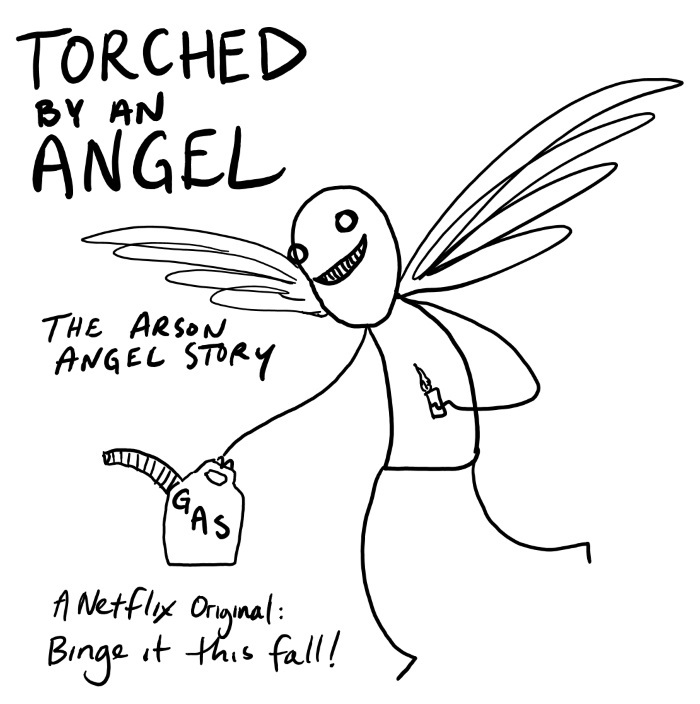 "Arson angel does what arson angel wants, I'm afraid."